 Nimmo weaves together an autobiographical tale based on his years as an anthropologist among the boat-dwelling Bajau people of the Sulu archipelago in the southern Philippines. The book has more the feeling of a novel strung together than of individual stories. Nimmo's language is honestly crafted, and as the book progresses, the writing becomes more poetic. 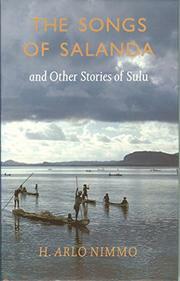 In ``Sulu,'' Melikan (the Bajau rendition of ``American'') is invited to join the men fishing: ``It was a beautiful night, the moon turning the sea world into a ghost of the day.'' Salandra, the singer of the title story, is a beauty whose mesmerizing voice draws people to her. Her transformation into a bent crone with betel-stained teeth mirrors, perhaps unconsciously, Melikan's view of Sulu when he returns years later to find his paradise developed and tarnished and forever changed. Mostly, however, Sulu and its people are drawn with all their physical beauty and way of life intact. ``The Remarkable Mrs. Dickens'' is a madcap, charming benefactress who wends her way through Sulu, with Melikan providing introductions, only to be revealed as an imposter. In ``To Each His God,'' Nimmo creates a lovely portrait of Sister Evangelista, who lives with a terminal illness as she does her good works among the Bajau. She chooses to die alone on a miniature beach among the coconut palms. Finally there is Amak, the Muslim pirate who Melikan befriends. Amak risks his life doing good, as well as questionable, deeds to help his people who, in real life, were devastated by the cruel Marcos regime. Melikan's loneliness, and his communing with and appreciation of the Bajau, comes through in these stories that honor life. A fascinating journey to another culture, place, and time.